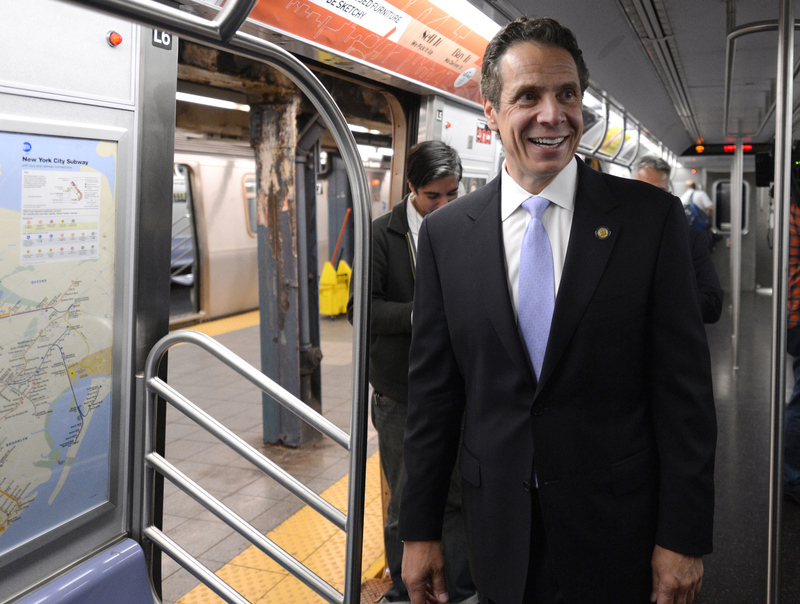 Andrew Cuomo's fake "free college" plan is about helping his presidential ambitions — not New Yorkers. In January, Bernie Sanders praised New York governor Andrew Cuomo’s proposed Excelsior Scholarship as a “revolutionary idea for higher education.” The plan — passed last week — offers free tuition to New York’s public colleges to students whose families earn less than $100,000 annually. Cuomo has grabbed the national spotlight with this new program, which the governor estimates will benefit nearly a million families. Sanders predicted that “state after state will follow” this first-in-the-nation program. The plan seems less revolutionary, however, when we remember that CUNY charged no tuition at all until 1976. And Cuomo’s progressive cred disappears when we remember that he has, until now, fought to raise tuition rather than cut it. Tuition is 30 percent higher today than it was when Cuomo took office, thanks to what he championed as “rational tuition.” In fact, only last year, he proposed slashing CUNY’s budget by $485 million, about one-third. Perhaps the Excelsior program represents a true change of heart, signaling that Cuomo will stop trying to shift the costs of public education onto students — and the step-by-step privatization plan that has so far been remarkably effective. Unfortunately, the plan’s details suggest a different story. To be eligible, students’ household income must be under $100,000 as of fall 2017 (this limit will increase to $125,000 in 2019). Students must enroll full time, to encourage “on-time completion” of degrees, and maintain a passing grade point average. After graduation, recipients must live or work in New York for the same amount of time they attended school — if they don’t, the scholarship turns into debt. The Excelsior Scholarship is supposed to fill the gap between other funding sources, like federal Pell Grants and New York’s Tuition Assistance Program (TAP), and the costs of tuition. For low-income families, Pell and TAP already cover most, if not all, of tuition: these programs cap at about $11,000 annually, and full-time tuition at four-year SUNY and CUNY schools averages about $6,400. These programs also cover part-time students and have less stringent requirements than Excelsior (TAP recipients must maintain a 2.0 GPA). Further, as grants, they never need to be paid back, no matter where a student finds a job after graduation. This is not to say that there’s no gap between existing funding and real costs. A residential SUNY school comes with a $25,000 annual price tag, most of which goes to room and board. All students, regardless of where they live, also pay mandatory fees and buy textbooks. TAP and Excelsior do nothing to defray these costs, which can account for a third or more of the bill. For years, SUNY colleges have raised fees to cover shortfalls in state funding, as only the state legislature can approve tuition hikes. For example, students at the University at Buffalo pay a $187.50 per semester “academic excellence and success” fee that goes to “student academic support services, advisement, research opportunities, equipment, facilities, and scholarships,” as well as “personnel service needs such as tutoring, laboratory technicians, faculty, and other academic and student support activities.” If that sounds a lot like what tuition pays for, it shouldn’t be surprising that tuition at the University at Buffalo costs $3,235, while fees add another $1,551.75. Excelsior only covers tuition, one line item on a student’s bill. It does not cover mandatory fees. And while CUNY schools don’t suffer the same exorbitant fees, only 1 percent of CUNY students will be eligible for Excelsior. The gap between the aid students receive to cover tuition and the total costs of attending school has already led to over a trillion dollars in student debt. Cuomo’s new program will do nothing to alleviate this. Instead, the free college plan extends benefits to more middle-class households. Students can only qualify for Pell Grants if their families make less than $50,000 annually; for TAP, the figure is a bit higher at $80,000. (The median income in New York sits at just over $60,000.) Excelsior will provide benefits to families earning between $80,000 and $100,000, but do little to help poor and working-class people in addition to the aid that already exists for them. Creating a truly free higher-education program that covers both poor and middle-class students would be a welcome development in New York — it could create the kind of broad buy-in across class lines that would create a constituency willing to fight to protect their social-democratic goods. But that isn’t what’s happening with Excelsior. Instead, students from poor and working-class families in New York are seeing their tuition aid basically remain the same, while middle-class students gain new avenues for tuition assistance but with stringent, meritocratic standards attached that can quickly turn their tuition assistance into a millstone of debt. More progressive legislation would not only cover fees and assist students with the costs of room and board, but also create programs designed to help students who most need relief from the rising costs of college. It would include part-time students who are going to community college to retrain for a new career or who simply can’t afford to give up working hours to attend classes full time. It would offer funding to cover not just mandatory fees, but the costs of living, not just room and board, but also child care. Cuomo’s program offers little to students for whom attending college supposedly represents a path out of poverty. The students who take advantage of the Excelsior program don’t fare much better. If they take a job in, say, California after four years of college, they’ll find themselves burdened with thousands of dollars of surprise debt. And that debt may be higher than they expect: alongside the scholarship program, the state legislature authorized a tuition hike of $1,000 over five years. Last year a similar tuition increase failed. This year Cuomo is parading Excelsior as a boon to middle-class families, even as he raises costs for most of them. New York isn’t offering free college — it isn’t even offering free tuition. Given the requirement to stay in state, calling Excelsior a scholarship borders on deceit. Sanders recently introduced a bill that would eliminate tuition and fees at community colleges for all students and at four-year public colleges for students under Cuomo’s income cap. The gap between Sanders’s proposal and Cuomo’s legislation is as wide as the gap the governor has left for students desperate for an affordable education. The Excelsior Scholarship program seems like a bigger win for Andrew Cuomo’s presidential ambitions than for the people of New York. Hopefully other states will follow his example, but they should make college truly free — with no strings attached. Matthew Clinton Sekellick is an artist and writer based in Troy, New York.